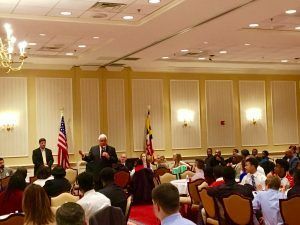 Senator Doug Peters (D-23) and Senate President Miller (D-27), welcomed the players, coaches, friends and family, and other individuals involved in the Maryland Chapter of Football University. The team won their championship game with a 41-14 victory over the Pacific Northwestern Regional winner, team Seattle. While acknowledging their overwhelming success on the field, the Senators wanted to make sure they spoke to the efforts of program director, Mike Anderson. 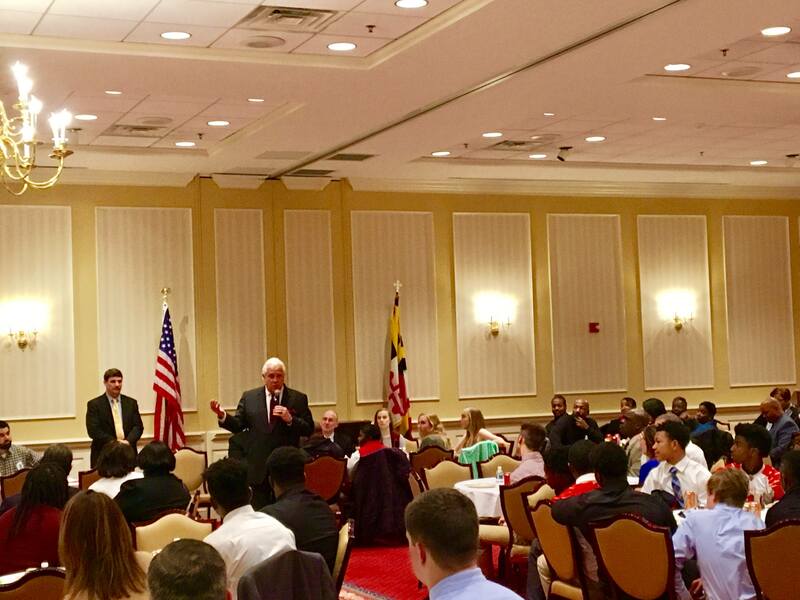 Anderson seeks to prepare youth for life both on, and off, of the field. Football University Maryland hopes to instill skills that will translate to athletic, professional, and personal success.